Poingo is the next generation of interactive books. Children ages 3 to 7 will love the adventure of unlocking hidden treasure on every page. Kids touch pictures or text and bring their favorite characters to life with words, sounds and music. 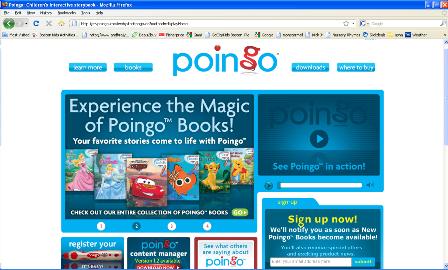 With Poingo, books come alive in three easy steps: 1) Turn on Poingo 2) Point to a word or picture. 3) Experience the magic of favorite Disney stories come to life. This website is developed using Flash, java, struts, spring, hibernate and web services. The Poingo Content Manager allows you to manage the content on your Poingo, as well as download new content as you purchase additional books. 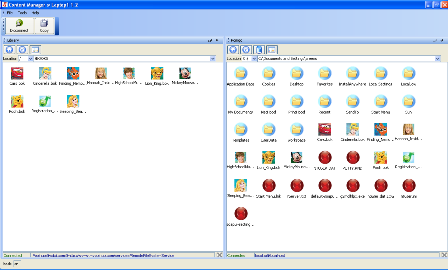 The Poingo Content Manager software is compatible with Mac OS X, Linux and Windows Vista/XP/2000. This Application is developed using Java, Swing, Web Services, SOAP, XML, WSDL and jnlp. 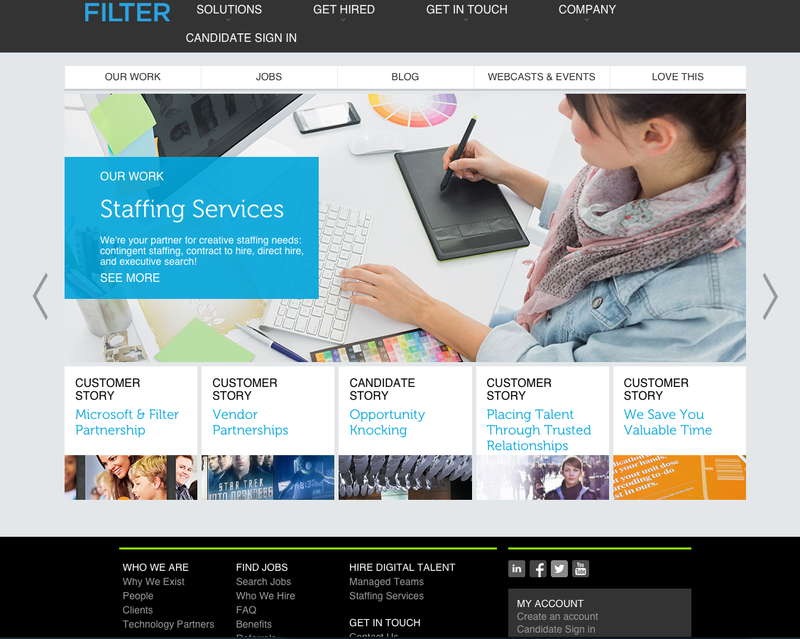 Filter Digitial specializes in digital content creation and staffing. This website is developed using .Net, ajax, Sitefinity CMS.